Before telling the part of the tale involving my teacher, I have to start a little further back to put it all into context. It was 1990. I saw a flyer for a local kung fu school, and one of the styles that it offered was T’ai Chi. I already had previous martial arts experience, but I had always wanted to learn kung fu, and I was previously not aware of any local kung fu schools. This was great, I thought, and the fact that T’ai Chi was being offered made it even better. About 2 years prior, I was at a friend’s house watching a martial arts documentary, The Warrior Within. Masters from various martial arts were showcased including a few from various styles of kung fu. Of particular interest to me was the demonstration by Eagle Claw Master Leung Shum. Rather than demonstrating Eagle Claw, however, he performed Wu Style T’ai Chi. I had not seen anything like that before, and that combined with the hypnotic 1970’s styled deep-voiced commentary had me hooked. I needed to study T’ai Chi. 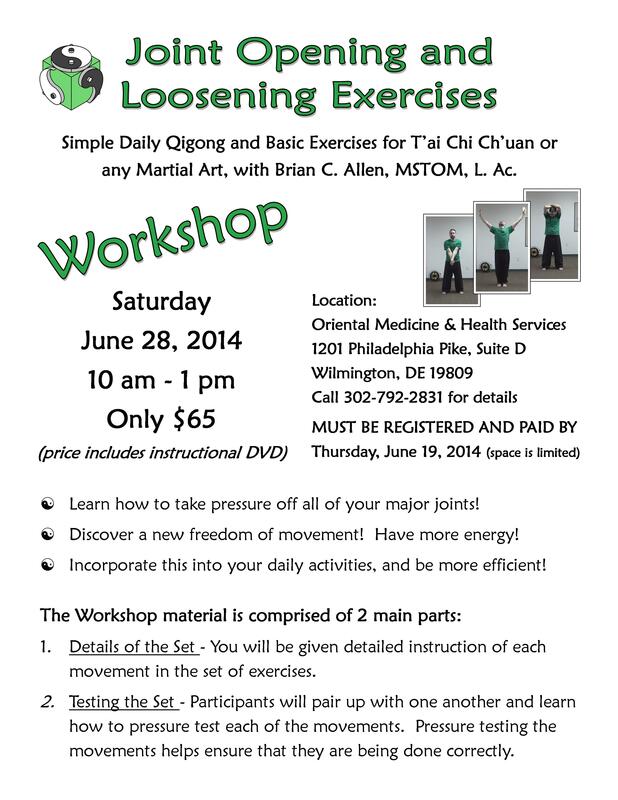 Back to the flyer: there it was, T’ai Chi at a local kung fu school. I enthusiastically signed up and studied everything they offered including various external styles of kung fu, many traditional kung fu weapons, and, of course, T’ai Chi. The T’ai Chi classes had much less attendance than the external style classes. It was not everyone’s cup of tea. As time passed, I became an instructor at the school, teaching both the external style classes, including weapons, and the T’ai Chi classes. At first, I assisted in teaching the T’ai Chi classes, and then later, I completely led the classes. During that time, I competed in various tournaments, competing in external styles, both empty hand and weapons, and in T’ai Chi, both forms divisions and pushing hands divisions. I placed in every tournament I every competed in without exception. I thought that I was good at T’ai Chi and that I knew what I was doing. Hey, I even read the Classics. My T’ai Chi seemed to work well even in sparring against external styles. Even though I was not able to duplicate the feats attributed to masters of the past, I assumed that if I continued to practice what I had been taught, that I would continue getting better at what I had been taught, and that it would all come together. Little did I know that I could not get there from where I was. Unfortunately, that is just how T’ai Chi is: off by an inch, miss by a mile. Without a proper foundation, you will never do more than an external representation of T’ai Chi. No matter how clever and sensitive your moves, no matter how effective your techniques, it will still not be T’ai Chi. I, however, was blissfully ignorant. How could I have known? It is time to introduce an important character in this story: Bill. Bill had joined the same kung fu school after I had already become an instructor. Initially, he studied both the external styles offered and T’ai Chi, however, in time, he had settled in with just T’ai Chi. He was my most dedicated student and took it all very seriously. He eventually plateaued and made me aware of my own plateau. At this point, I had been with that kung fu school over 5 years. The head teacher of the school did not seem to have anything else to offer in regards to T’ai Chi. Bill asked me if I could recommend another teacher that he could study with. I did not know of anyone in the area, but I gave it some thought. I remembered that one of the friends that I made at the tournaments, Al Jean, was an instructor under Yang Jwing-Ming. Both Bill and I were familiar with Yang Jwing-Ming through some of his books and videos. Though Al Jean did live in Boston, I knew at the time that he had recently moved to the Baltimore, MD area. I knew Al always did well at the tournaments, and I assumed that if he was an instructor under Yang Jwing-Ming, then he must have a decent set of T’ai Chi knowledge and skill. So, I recommended that Bill get in touch with him. I cannot recall if it was I or Bill who had found his contact information, regardless, Bill contacted Al Jean and had a fateful conversation. Bill explained to Al who he was, how he knew me, and what he was looking to learn. Al decided to steer Bill in another direction. Al was under instructions from his own teacher, Yang Jwing-Ming, to seek out instruction from Chung-jen Chang of Bowie, MD while Al was living in Baltimore. Yang Jwing-Ming would have Chung-jen Chang teach various workshops at his school in Boston and thought highly of him, so he thought his own advanced student / assistant Al would do well to study with Chung-jen while he had the chance. Bill contacted Chung-jen and started studying with him in 1995. For about a year while he was taking private lessons with Chung-jen, Bill would still work out with me regularly. He would show me what he was learning, which was a lot of basic exercises, no work on the form. Considering the T’ai Chi background that I had, this seemed strange to me, and the basic exercises seemed similar to ones that I had already taught Bill. Of course, my eyes only saw the outer shell of things because I did not know any better. Bill insisted, however, that Chung-jen was very knowledgeable and skilled. About a year later, June 1996, the kung fu school at which I taught was set to perform during the Masters’ Demonstration at the 3rd World Wushu Games held in Baltimore, MD. Bill informed me that Chung-jen would be there performing as well. I was excited about getting to meet Chung-jen. During the event (when I was not engaged in conversation with Cynthia Rothrock), Bill kindly introduced me to Chung-jen. He seemed friendly enough, but I did not know what to think. I was anxious to see him perform. Wow! I sure did see him perform. Though I did not really know the depth involved in what I was seeing, I could plainly see that it was qualitatively different than any other T’ai Chi performance that I had ever seen. His movements seemed very precise, very together, and very flowing. His stances were low, but he looked very relaxed. In the Yang style sword form that he performed, the sword was clearly an extension of his body, a part of the whole. The Zhaobao small frame (Hulei Jia) form that he performed, showed me a coordination, flexibility, and type of strength that I had never seen. I was seriously impressed. About a month later in July 1996, I started studying with Chung-jen. Bill and I were taking private lessons together in Yang style T’ai Chi at the rate of about 1 to 2 lessons per month. After about a year or so later, I started learning Chen style T’ai Chi with Chung-jen on Saturdays in a class setting rather than having private instruction. During that time, I continued the private lessons in Yang style T’ai Chi at the same rate. I did not mind the 2 hour drive each way at all. It was worth it. This went on until November 1999 when I moved to San Diego. I learned much during that time period, but I was never quite able to pick up what Chung-jen was putting down when it came to internal power. I found a good training partner, Jim Hogg, while I was in San Diego, and we worked out for hours at a time, usually twice a week. I also visited the East coast twice and had more private lessons with Chung-jen. Then, one day, in mid 2001, I got sick. To say I got sick is an understatement. This would end up being a chronic illness that wasted me away, literally dropping my weight down to 106 lbs at 5’ 5”, an illness that lasted a trying 9 years. I had some type of dysautonomia which was never fully diagnosed let alone adequately treated. I had to stop the workouts. It took all of my strength just to finish Chinese Medical School, which is why I was in San Diego. During 2004, my last year in San Diego, I had just enough strength to start training again, but only for very small periods of time. At first, I would work out literally for just one minute. I was determined. I moved back to Delaware at the end of December 2004. A few months later, I had regained another small portion of strength, enough to get my Chinese medical practice up and running. I also decided to teach T’ai Chi and Qigong. Honestly, teaching those two classes was the only physical activity I was capable of doing. Somehow, I was able to teach and do those 2 things and mostly feel OK while doing them, but nothing else. Have me walk down the street or up a flight of steps or carry groceries into the house, and I was beat. It did help that my students were mostly there for the health benefits and not for martial arts training. I knew my skill level was not what it should have been. I was, however, blessed with a good memory, and so I continued practicing all that Chung-jen had taught me and did get better at what I had been doing, but I had truly plateaued once more. I knew I wanted to study with Chung-jen again, but I was embarrassed. I was a weak shell of my former physically fit, strong, flexible self. Then, one day, I got a new training partner. This was in March 2010. He would work out with me a few times a week. I slowly started to build up stamina and strength from the workouts, and luckily, some of that extended to my activities outside of T’ai Chi and Qigong. I tried to get him to understand the inner workings of what Chung-jen was trying to teach me, but it was futile being that I did not have a good grasp of it myself. We did, however, get very efficient at what we were doing, but in the end it was still mostly external. A few months later, my training partner declared that he absolutely must start studying with Chung-jen and that I must go, too. Though I was still feeling embarrassed and inadequate, I called Chung-jen and set up a lesson. I had kept in touch with him over the years via Christmas cards and occasional letters, so it was not quite like I was just calling out of the blue. Still, he was glad to hear from me, and we set up a private lesson for July 2010. We showed Chung-jen what we had been working on, and he seemed interested that we had discovered a few things. That lesson, he taught us some things that made a major difference in my T’ai Chi. The door had opened. Chung-jen stated to me, “You have been in high school long enough. It is time to graduate and go to college.” I was totally psyched. As we continued with private lessons, I was finally catching on to what Chung-jen had been trying to teach me previously and what I had been working on for so long. There were times when Bill, who introduced me to Chung-jen, would attend the private lessons with us as well. My training partner and I worked out several times a week, a few hours at a time. Also, during this time period, my health situation changed for the better rather quickly, and though I am now still not 100%, and I still must avoid certain activities, I am doing much better. I completely credit the “new” T’ai Chi that I was learning from Chung-jen and practicing regularly with my training partner. We got what we thought was really good, really fast. However, each time we would go for another lesson, Chung-jen effortlessly showed us the great divide between our skill level and his. He did not do this explicitly. It would just become very obvious during the course of the lesson. This went on until September 2013 when it finally sunk in about how to judge myself and what it was I needed to do in order to continue to acquire more and more skill. I felt like a total dummy leaving that lesson, but within a week, I realized that in many ways, it was my best lesson yet. It is now March 2014, and I have not had a lesson with Chung-jen since that September 2013 lesson. Worse yet, circumstances have changed, and my training partner and I do not have the same access to one another like we used to have. Workouts have been infrequent. During this time period, I have once again started focusing on basics. I have been trying to build a better root and work on being more song (relaxed). This is what Chung-jen kept trying to tell me. The “higher level” stuff, mostly involving yi (mind intend) that I was doing would fall apart against someone with skill because I did not have a good enough physical foundation behind it. I am, however, glad that Chung-jen answered all of my questions, humoring me, showing me how to do higher level skills. This kept me motivated; I felt like I was getting somewhere, having something to show for my efforts. It got me healthy. Now, though, it is time to really get down to business. I have a lesson this coming Sunday with Chung-jen, a long overdue one. I really just want to work on zhan zhuang (standing), song (relaxing), and how to properly move my arms and legs. I cannot emphasize just how important those things are. The first 30 minutes of the lesson are going to be jibengong (basic exercises) as usual, and it scares me to think about it. Honestly, it is like you have to train to get into shape to just be able to make it through those exercises with him. Then, I am going to feel wasted for the next 30 minutes, as I try to get my body to behave after that initial gauntlet, if you will. It will be worth it though, because the rest of the lesson will be chock full of basics, just like I want, just like I need. So, that is my T’ai Chi story, up until now. I hope you enjoyed it. I know I have.